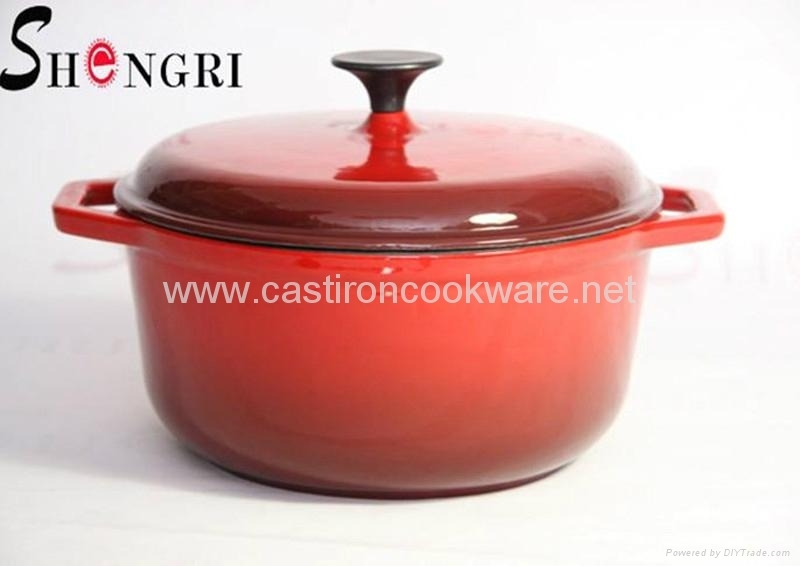 The SHENGRI cast iron enamel casserole is an absolute essential piece of any kitchen. Extremely versatile, the casserole can be used for stewing, roasting, searing and braising. The heavy duty lid keeps all those beautiful flavours you create enclosed within the pot, meaning maximum taste and maximum nutrients. Amazing heat retention allows you to transfer your meal from stovetop to oven to table with ease, while its visually appealing colour and construction means it looks just as comfortable in your kitchen as it does your dining room. From its high quality iron construction to the heavy duty enamel coating this Dutch oven is made to last. So take advantage of this fabulous piece of cookware at this insane price, and cook yourself up a storm, from marinated chili chicken to soft chocolate pudding the options are endless. Advantages︰ High quality cast iron material,many colours are for you to choose from.